Many people smoke cigarettes in their homes because often they do not have other comfortable place to smoke. They do not have a balcony, special smoking room or just cannot go outside on the street because live in a skyscraper on a high floor. Thus appears the problem of tobacco odor in the apartment or house. Let us see how to remove it. Tobacco odor is probably is one of most difficult smells to remove, because it has a property to enter deep into surfaces such as carpets, furniture, draperies, clothes. Specialists say that 70% of tobacco smoke do remain on textile surfaces and carpets. Today there are different ways to get rid of it, choose the one you like most. 1. Take a big laurel leaf and set it on fire in a clean ashtray. Smoke from laurel leaf spoils tobacco smoke in the house. So you need to walk with burning laurel leaf through your house to fume all rooms. After that you will feel no tobacco smoke at all. 2. Make a big cleaning up in your home! Wash draperies and blankets. As to pillows, send them to dry cleaning or buy new ones. To wash carpets use wet-vac with an aromatic shampoo. Perfect solution for this is Vanish. 3. In winter take carpets outside and wash them with snow! After this you will feel only fresh freezy air and no tobacco smell at all. 4. When it comes to upholstery, here you should also use wet-vac and Vanish. 5. As to wardrobe, it is necessary to send overclothes to dry cleaning. Other clother do not need to be washed as you soon will wash them anyway after wearing. 6. Cuddly toys wash manually or in a washing machine. 7. When you rinse cuddly toys, draperies, blankets, etc. use a conditioner with a pleasant smell. After drying, the smell will spread through your home! 8. Tobacco smell can hardly be removed from wooden surfaces (doors, windows). The only thing you can do is to replace them with plastic ones. As to picture frames, you may lacquer them. 9. When you wash windows, doors, walls, floor and other surfaces, add vinegar in water. 10. Unfortunately, tobacco smell cannot be removed from books and magazines, because it enters very deep in paper. You may move books to balcony for the entire winter and this will help to reduce smell, but not to remove. Generally, it is recommended to store books in closed boxes. 11. Use special spray against tobacco odor. Pulverize it on all surfaces in your home and cigarette smell will disappear. 12. Aromatize your home with coffee! Put fresh brewed coffee into small beautiful vases and place them everywhere in your home. Coffee perfectly absorbes tobacco smell and soon you will not feel at all. Do not forget to replace them with new ones at least once in two weeks. 13. Use oil warmer. 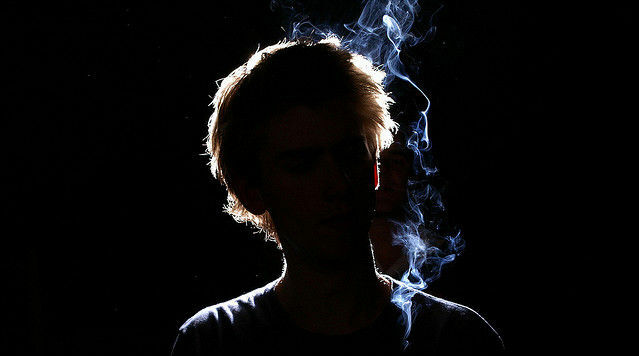 Oils that better help to remove cigarette smell are: lemon, grapefruit, orange and pine. Try to mix pine with citurs aroma and you will get a very pleasant smell! 14. Install in your home a modern air conditioner with an advanced air purification system. 15, Use humidifier and air purifier, and do not fotget that it cleans air only when is turned on.